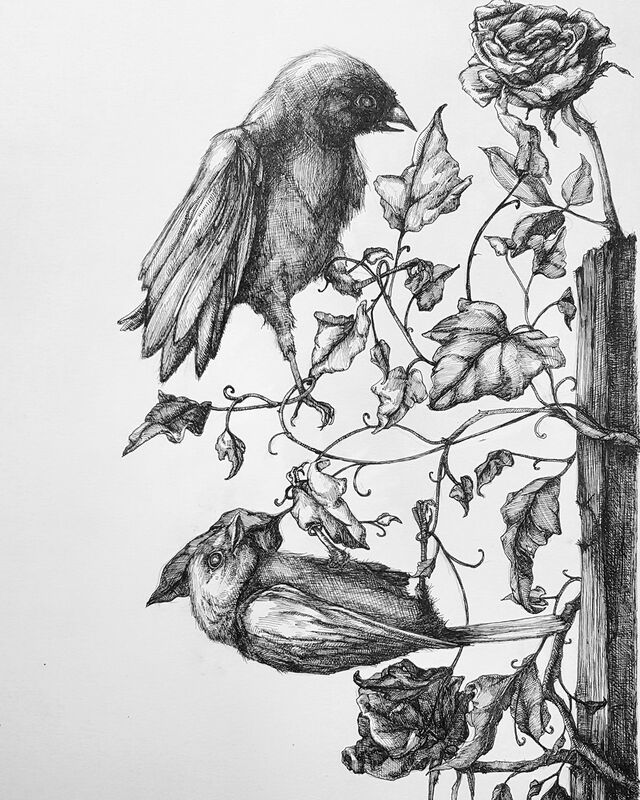 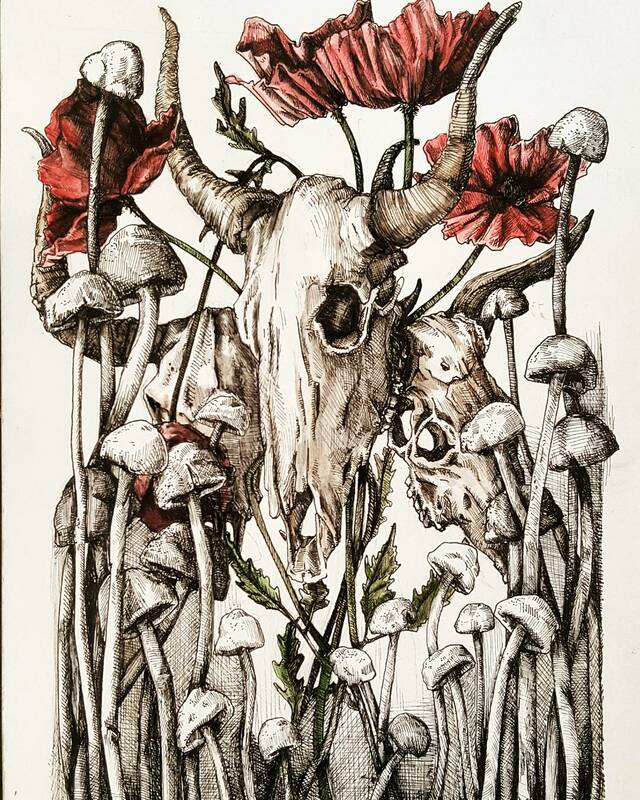 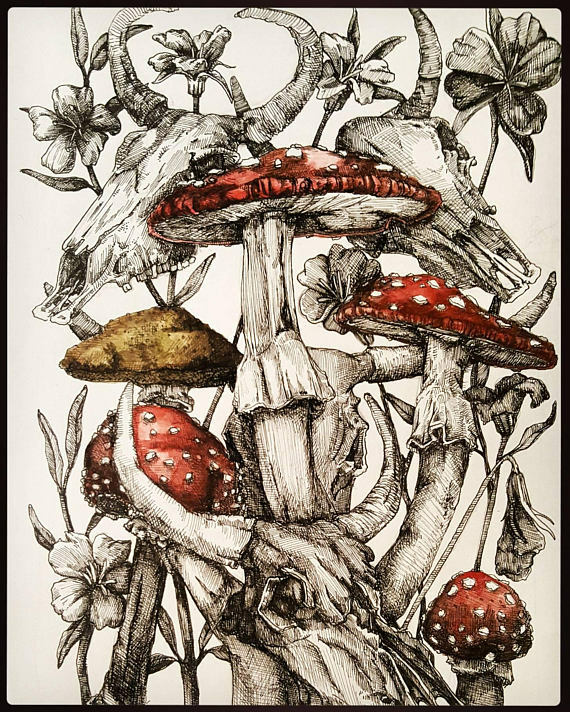 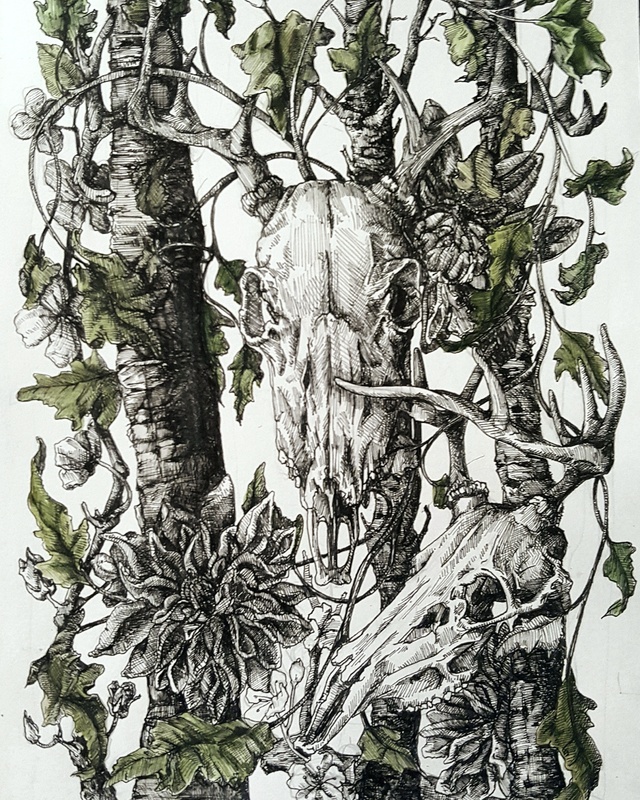 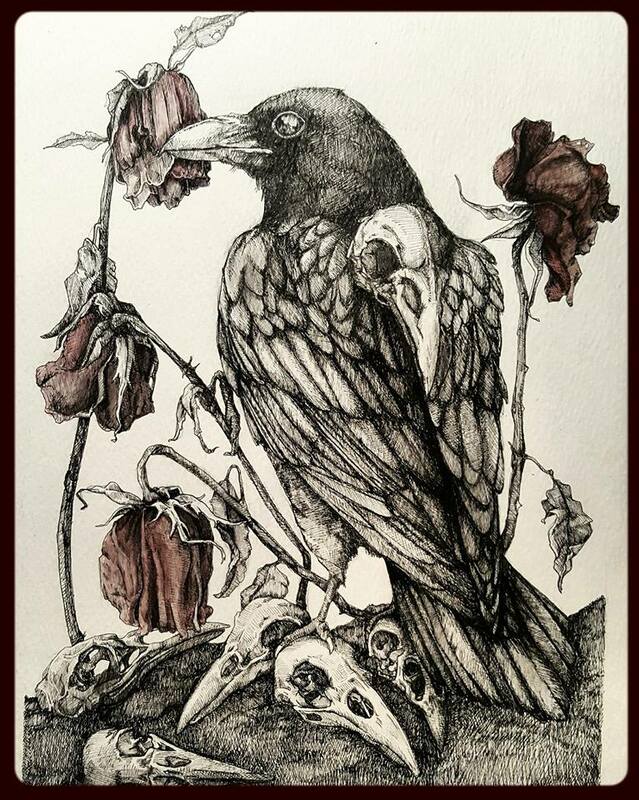 I am an artist working primarily in pen and ink although I do incorporate watercolour into some of my pieces. 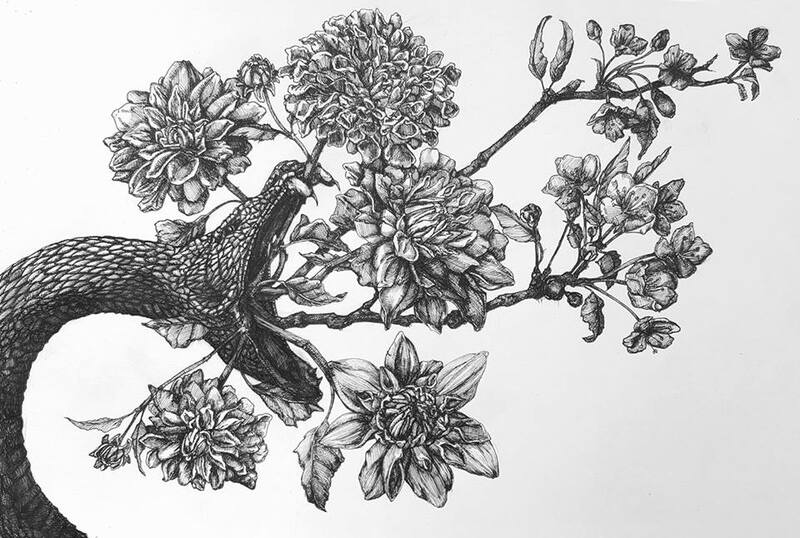 I am based in the New Art Spaces Leigh studio where I have been the resident lead artist for over five years. 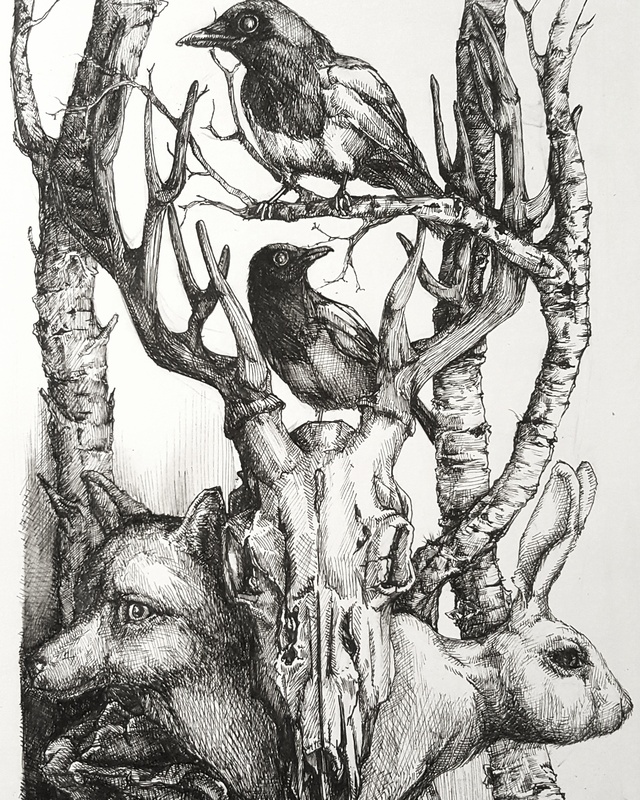 My pieces are for sale, available pieces can be purchased either through my Etsy store (by clicking on the shop link above) or by contacting me directly. 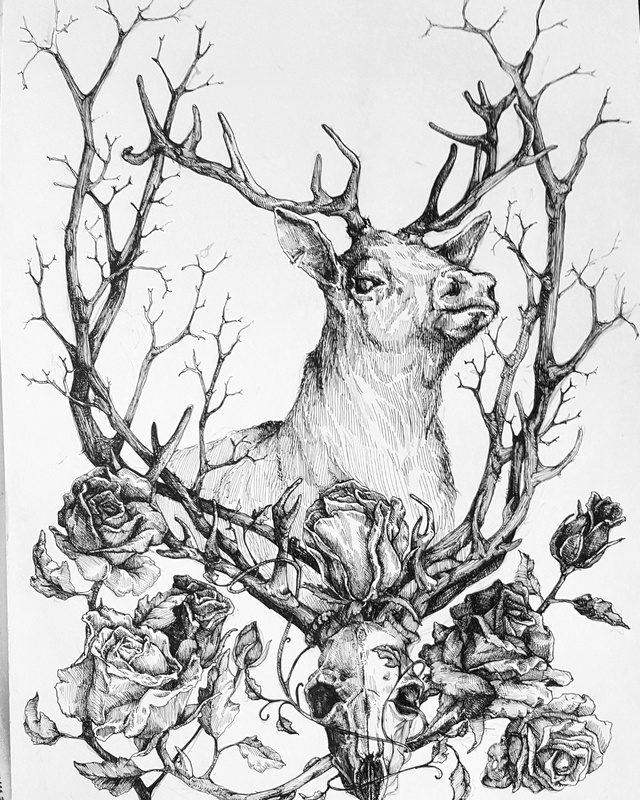 Commissions are also available. 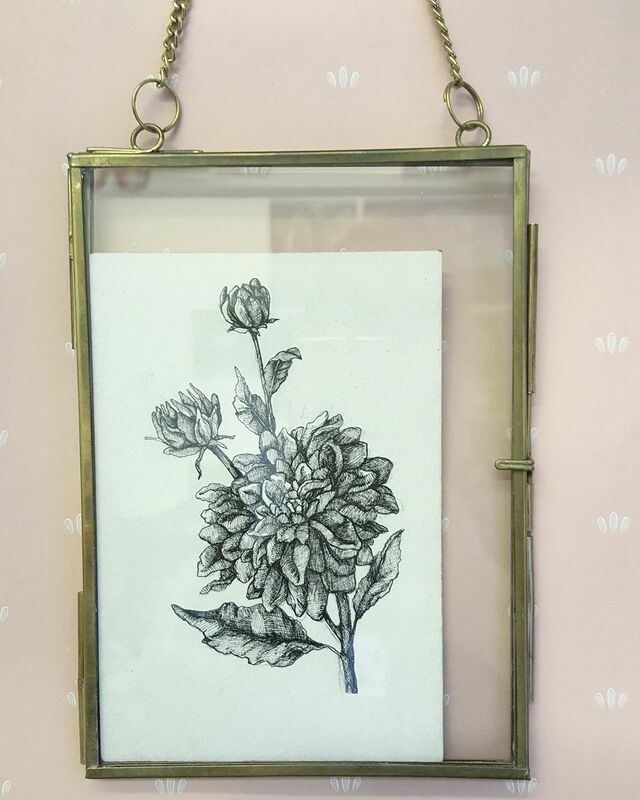 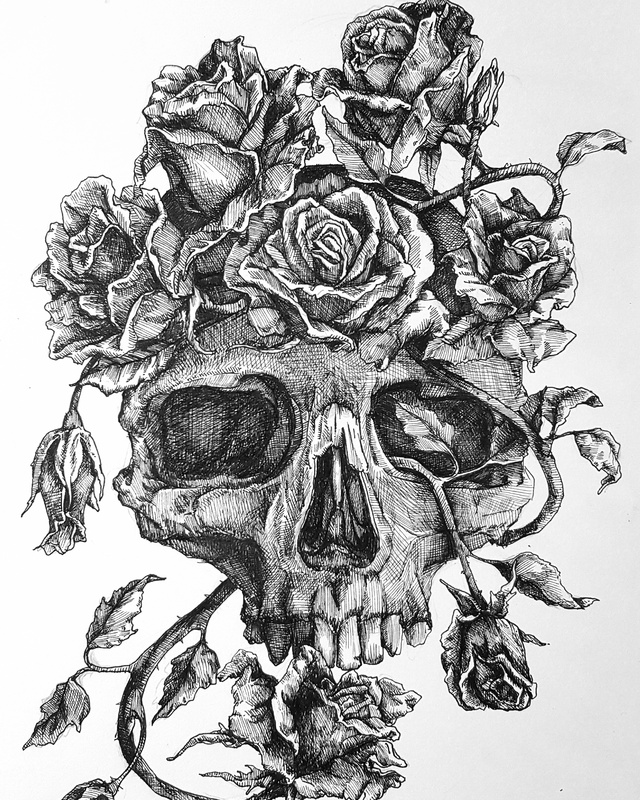 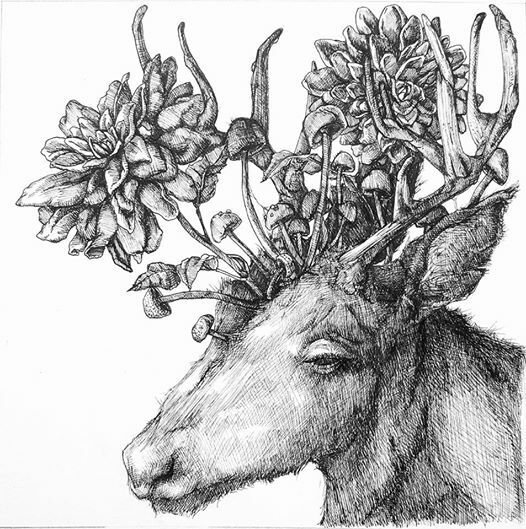 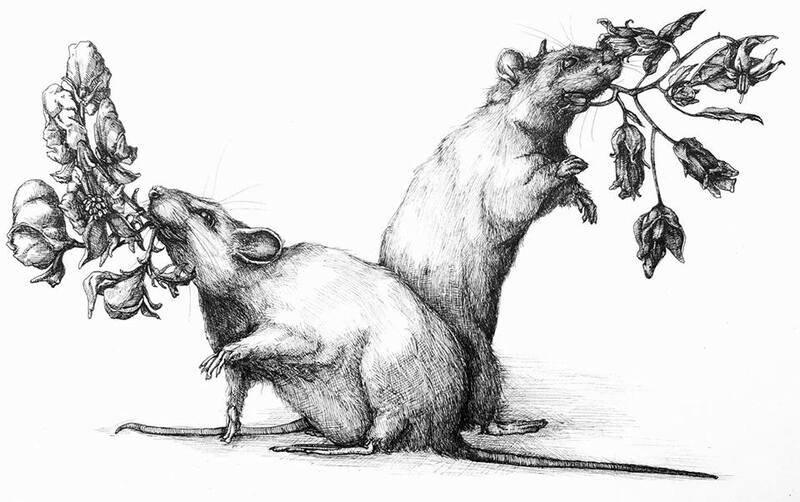 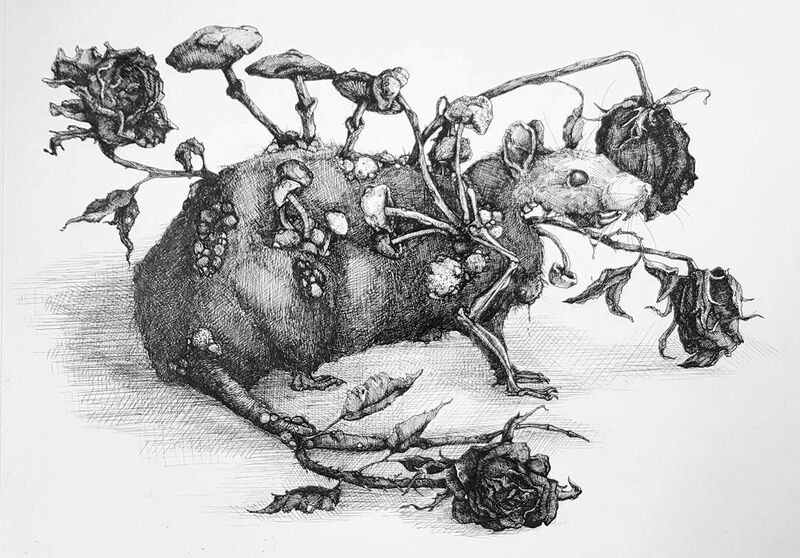 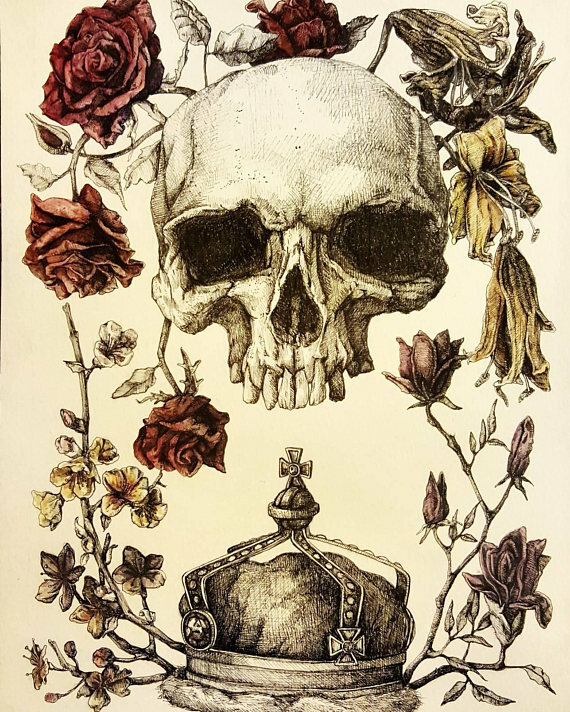 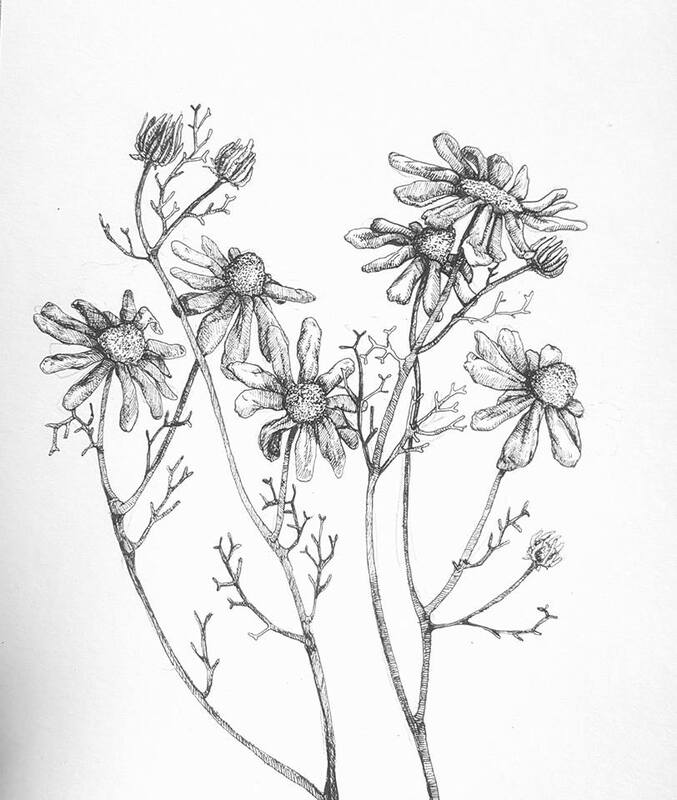 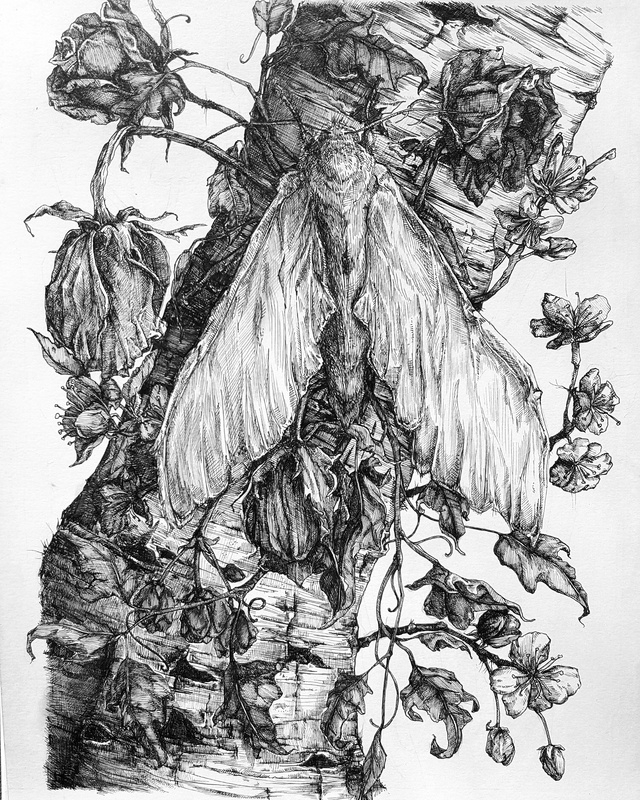 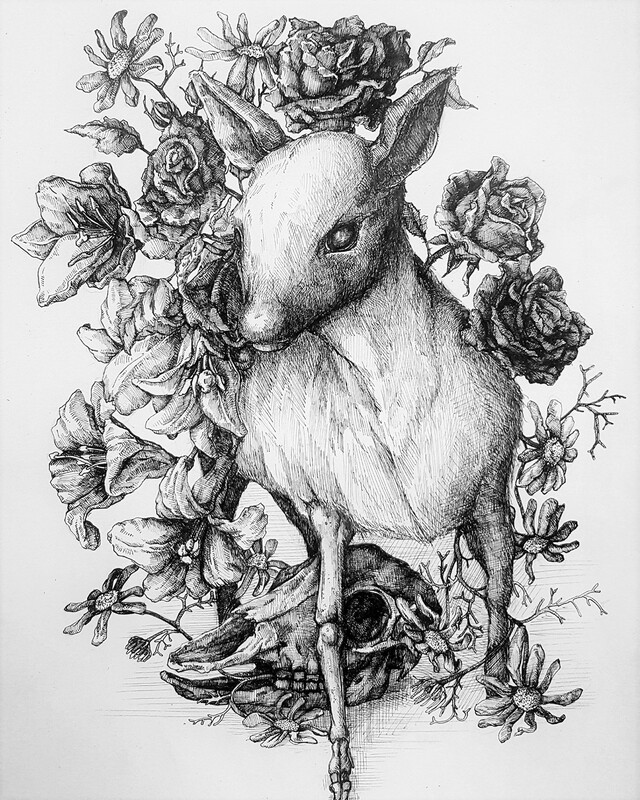 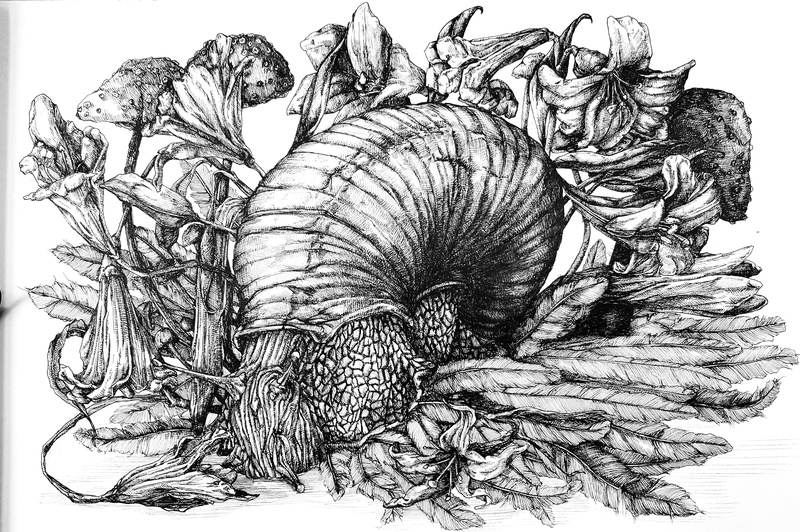 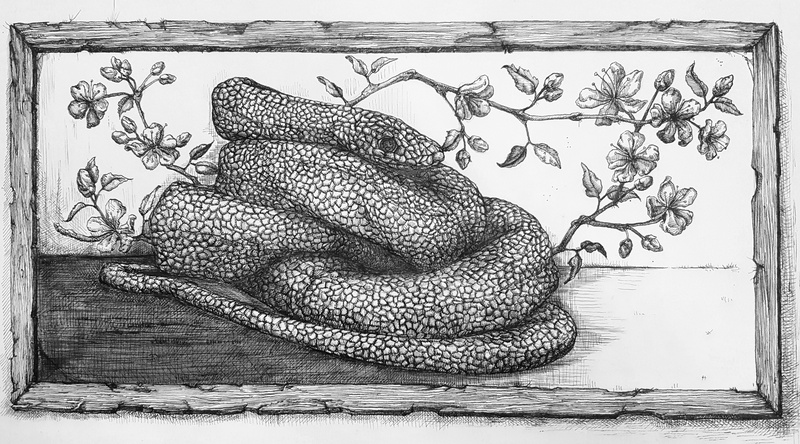 Illustrations and drawings featuring themes of anatomy, medical illustration, botany and nature. 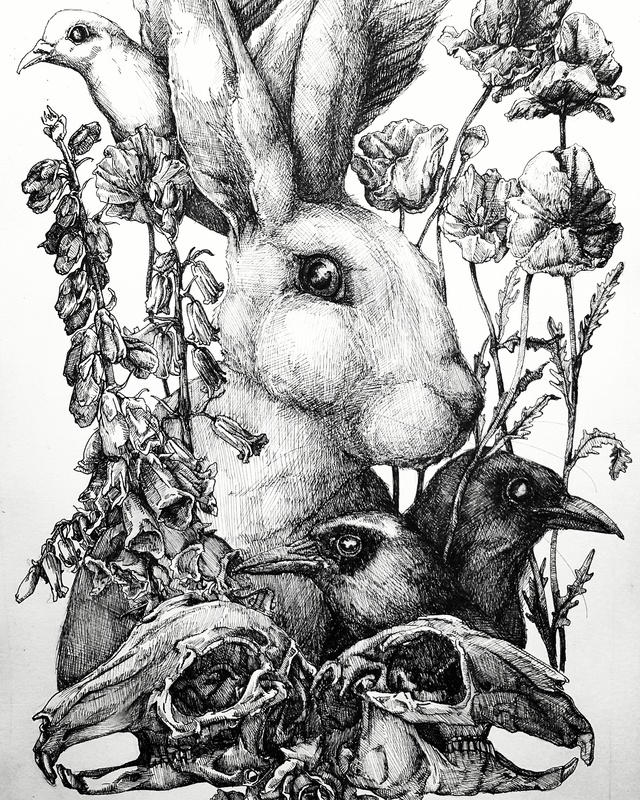 A Rabbit sits amongst poppies, foxgloves and bluebells. 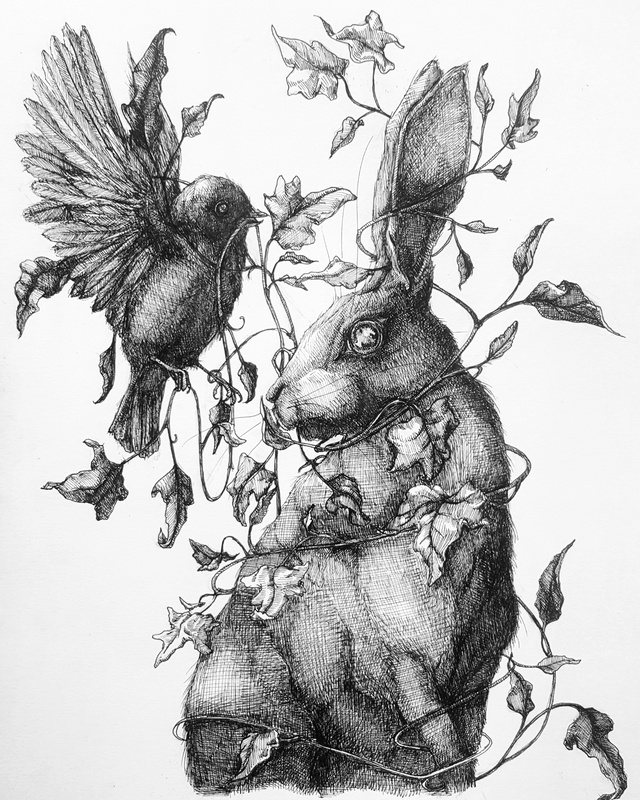 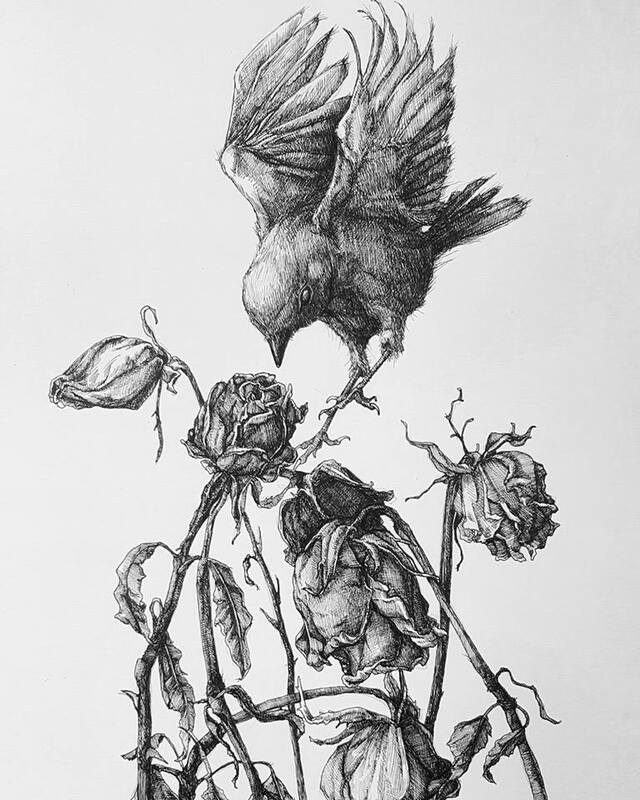 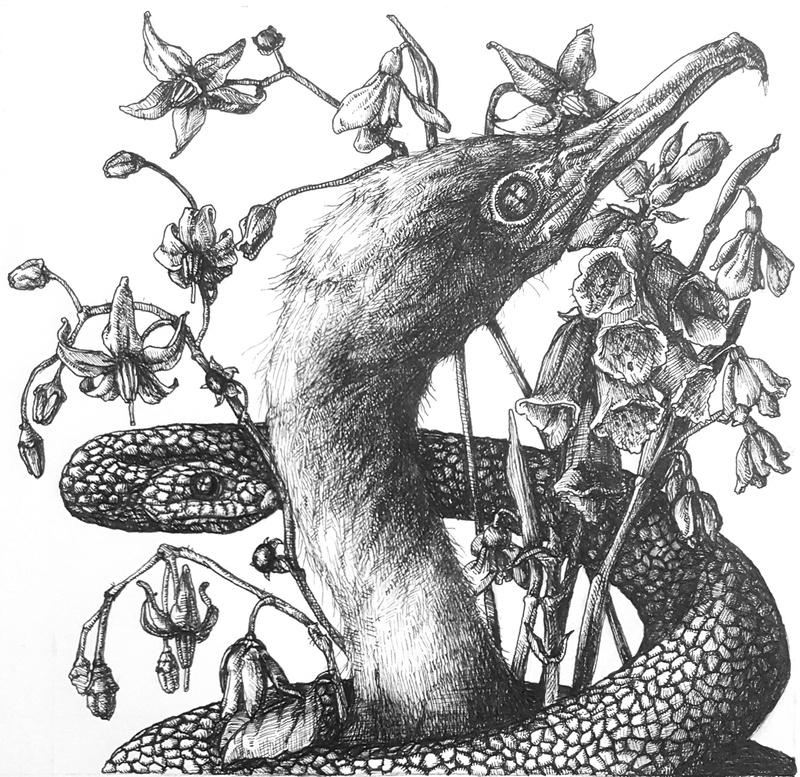 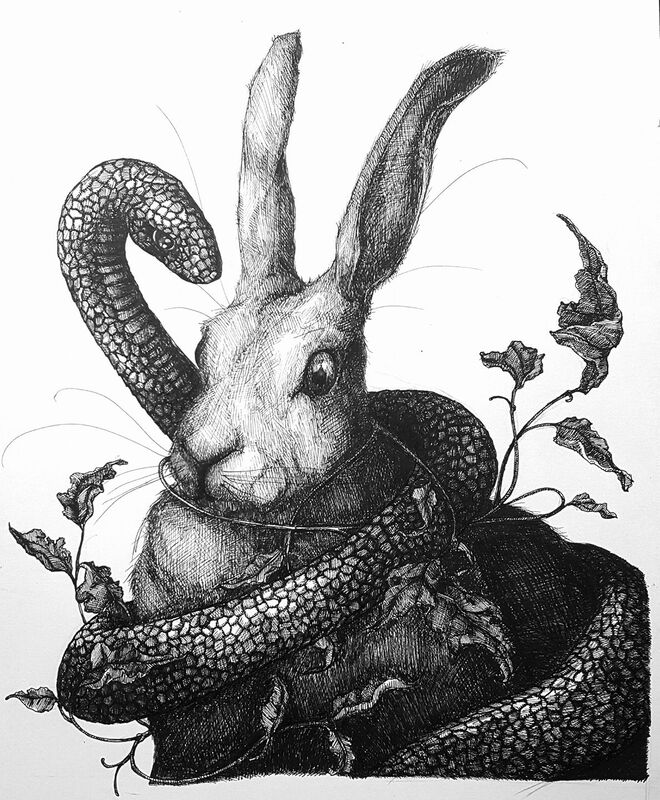 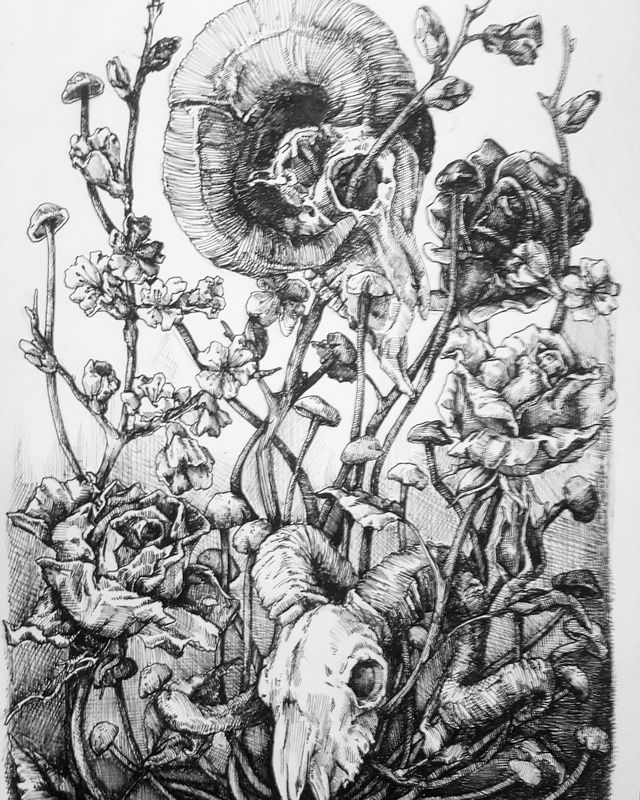 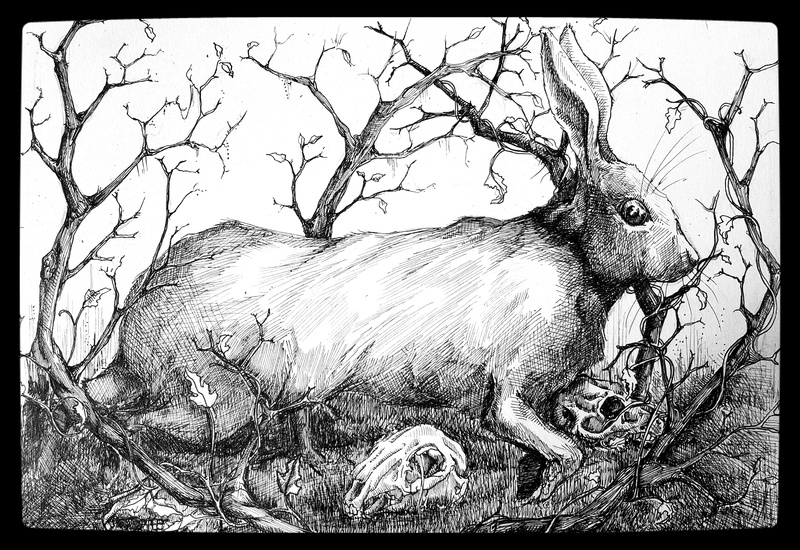 A rose nestles between two rabbit skulls whilst the magpies look on.